Rumors of a legendary artifact with ties to the Force have brought you to Toydaria in Ghosts of Dathomir, an adventure module coming soon to the Star Wars™: Force and Destiny™. The artifact, a statue named Tragic Hope, was in the hands of exotic item dealer Walisi before they both went missing. Before you can get to the bottom of the mystery on the dread planet of Dathomir, you will have to dodge Imperial forces, avoid the wrath of the Force-wielding mercenary Jerserra, and deal with the Gorensla Hutt kajidic. Walisi's ties to the Gorensla kajidic are not unusual—the Hutts dominate much of the Mid and Outer Rims, Toydaria included—but the income of a dealer as established as Walisi makes him a key asset, and the Hutts want him back. As Tragic Hope neared its auction date, and the mysterious disappearance, Walisi had been playing up its potential ties to the Clone Wars and the Force to drum up interest (and credits), leaving you with plenty of potential suspects to investigate—provided you can tread carefully enough to avoid wasting away in a Hutt dungeon. Ghosts of Dathomir casts you deep into the criminal underworld searching for a Force artifact and a Hutt asset; you could build alliances with powerful crime bosses or create lifelong enemies on your hunt for Tragic Hope and Walisi. Today's preview offers a quick look at the Gorensla Hutt kajidic to keep you from entering Toydarian space completely unprepared. 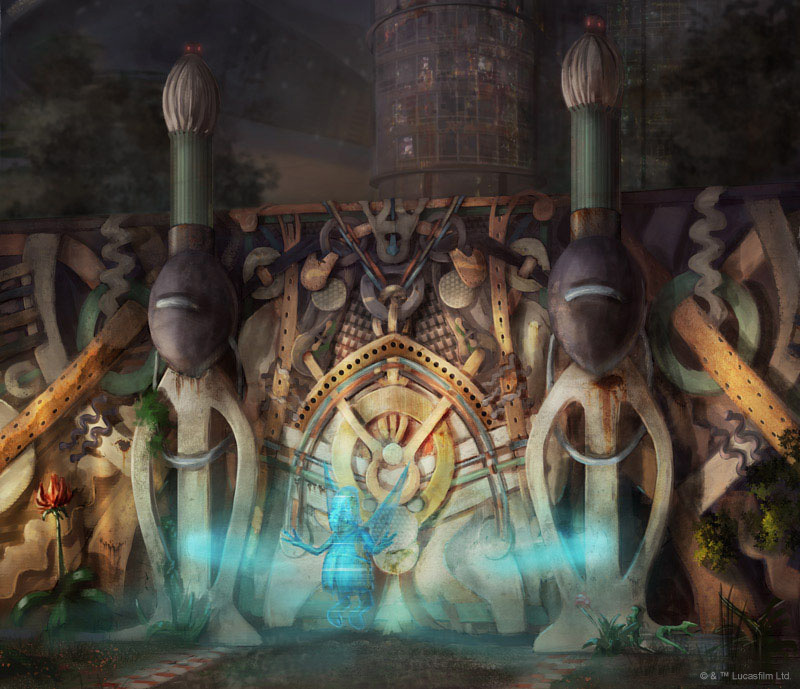 You will find Walisi's Elegant and Exotic Artifacts located in Riar, an ancient Toydarian city ruled by the Toydarian noble, Baron Reeol. Reeol has done well to avoid tying himself too closely to any one Hutt kajidic and maintains a delicate balance of power by avoiding regulating Hutt activities and occasionally extending the protection of his royal guard to Hutt guests in need of additional protection. 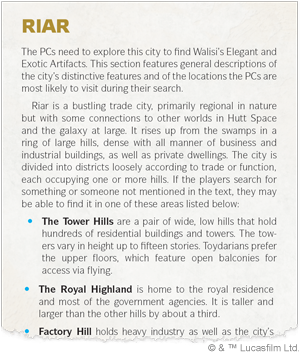 Your investigation exists in the crossfire between Gorensla and Desilijic, and the influence of the two kajidics in the city of Riar all but ensures every interaction you have on Toydaria will be reported to the Hutts. Irrica the Hutt controls Gorensla operations in Riar, and she is as calculating and shrewd as she is bombastic and arrogant. Walisi's disappearance concerns her not just for the potential income lost, but also the disappearance of his reputation in more… legitimate… business circles. Baron Reeol's ambivalence makes it easy for the Irrica to guess who was behind the kidnapping of Walisi: the Desilijic Hutt kajidic. Though ostensibly less influential in Riar, the Desilijic kajidic is most famously known for their influence on the planet Tatooine. 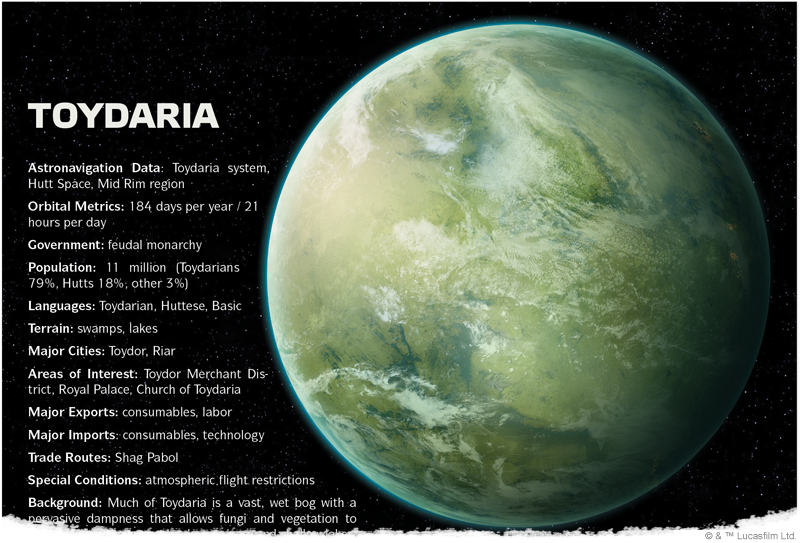 The Desilijic crime bosses on Toydaria are eager to become the next Jabba Desilijic Tiure, and their ambition and potential influence should not be discounted. While the Hutts' war may be fought in the alleys and black markets of Riar, you should be careful not to ask the wrong questions of the wrong people, lest you draw unwanted attention. In the search for Tragic Hope, fear and caution may be your most valuable allies. 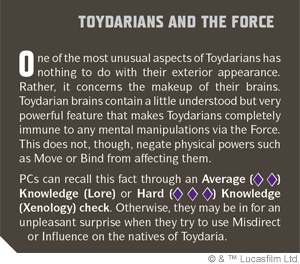 Toydarian minds are immune to the suggestions and manipulations of the Force, which means it's just a matter of time before someone sends word to the Hutts that a group of outsiders are searching for the kidnapped artifact dealer. The Gorensla kajidic seems more interested in the return of their dealer than the statue, however, and your needs might align enough to warrant a temporary alliance. Working for the Hutts is never without strings, but the successful return of Walisi could endear you to Irrica the Hutt and give you a powerful ally in the less scrupulous parts of the galaxy. The added muscle of Gorensla enforcers could make it easier for you to get the answers you need in Riar and survive any potential skirmishes with local authorities, the Desilijic kajidic, or the servants of the mercenary Jerserra. A powerful artifact tied to the Clone Wars, a vicious mercenary wielding the double-bladed lightsaber of the Empire's Inquisitorius Jedi hunters, and one of the most vicious races of criminals and gangsters the galaxy has ever known. Do you have what it takes to negotiate dealings with the Gorensla Hutt kajidic and retrieve Tragic Hope before it falls into Jerserra's hands? 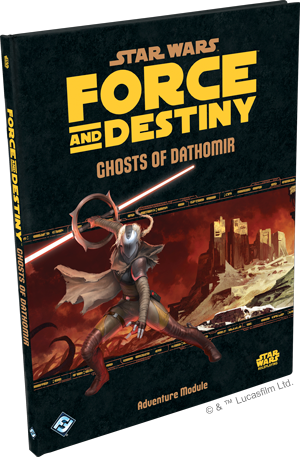 Discover true darkness in the Mid Rim; pre-order Ghosts of Dathomir from your local retailer today!